Some beautiful photos of a Utah RV road trip hit my in-box the other day. 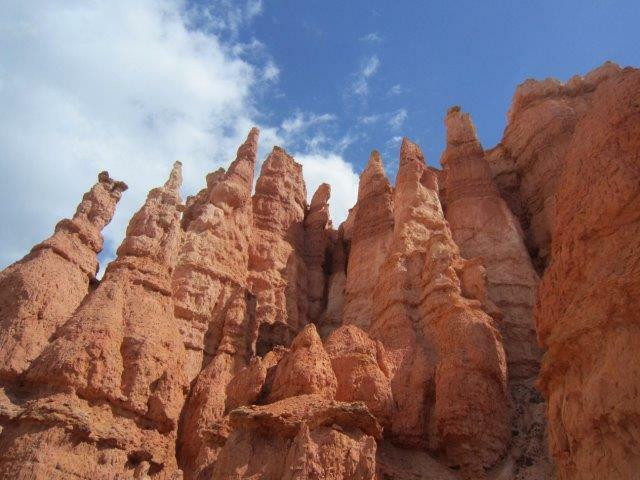 One of our customers had shared her experiences and, although a picture can say a thousand words I wanted to know more so I visited the Utah Tourism site and found this great article detailing a 7-day road trip. I hope you find it as inspirational as I found those photos – thanks so much for sending them, Toni! An unbelievable 7-day adventure starting from Salt Lake City and traveling through Arches, Canyonlands, Capitol Reef, Bryce Canyon and Zion national parks. Think of it as Seven Days in Heaven. The Best Road Trip Ever. All of Utah’s Mighty 5® national parks plus a few incredible stops along the way. It’s hard to imagine so much inspiring beauty and so much outdoor adventure in one place until you see it for yourself, in a place called Southern Utah. Follow our recipe for the perfect Utah road trip below or use parts of it to plan your own dream getaway. Adventure in Arches National Park picks up where 300 million years of patient erosion has resulted in unbelievably dramatic landscapes and landmarks that look more sculpted by giant mythological beings than the processes of time. Arches National Park contains about 2,000 windowed arches, towering spires, harrowing hoodoos, and precarious pinnacles on display, including Delicate Arch, perhaps Utah’s most iconic feature, which is a must-hike destination in the park. A paved 40-mile scenic drive from the park entrance provides numerous parking areas for trail access and scenic overlooks. Hikes: The 1.5-mile hike to Delicate Arch is beautiful, with the end reward of viewing Utah’s famous landmark, a famed arch that belongs on every any bucket list. Or hike some of the easy short trails in the park, such as the Park Avenue Trail and trails in the Windows Section of the park, or some of the longer trails in the park, such as Double O Arch, Tower Arch, and Landscape Arch. Drive: The 36-mile round trip Arches scenic drive can take about 2.5 hours. Be sure to visit the Windows Section, which contains some of the area’s largest arches. 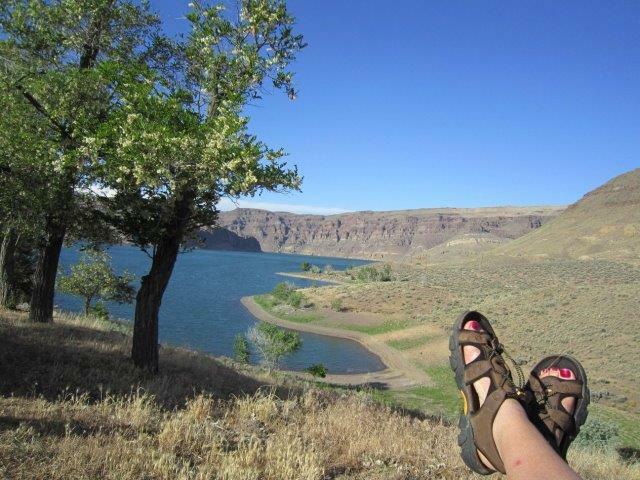 Additional park activities: backpacking, biking, camping, canyoneering, ranger-led programs, and rock climbing. While the trailheads for most of Arches National Park’s best hikes are accessible by car (which also means it’s important to plan ahead during peak season), Arches also has some backcountry open for exploration. Depending on what time you arrive, where you’re planning to stay for the night and your skill in the backcountry, this might be option worth your consideration. Destination: Moab. This world-class destination is under four hours from Salt Lake. The Arches visitor center is located five miles north of Moab via U.S. 191 and offers maps, brochures and other info about the park. Distance: Moab to Canyonlands National Park, Island in the Sky district is 35 miles/approximately 46 minutes. Distance (Option 2): Moab to Canyonlands National Park, the Needles district is 75 miles. Imagine wave after wave of deep canyons, formed by the currents and tributaries of Utah’s Green and Colorado rivers, divided with towering mesas, pinnacles, cliffs and spires, and spread out over tens of thousands of acres of some of the world’s most breathtaking red rock country. Now multiply that vision by three. Canyonlands National Park is made up of three distinct geographic districts, each increasingly more remote, more startling and more alluring. Photography Tip: Early morning and late afternoon bring the best photographic light to the park during the “magic hours.” The park website recommends areas, formations, and times for peak photography opportunities. Must See: Travel Dead Horse Mesa Scenic Byway to Dead Horse Point State Park for a dizzying view some 2,000 feet above the Colorado River as it winds its way into Canyonlands National Park. You’re sure to treasure this panoramic perspective of the river that carved out the canyons. This is a locals’ favorite. Canyonlands National Park is Utah’s largest national park with views thousands of feet down to the Green and Colorado Rivers and thousands of feet up to red rock pinnacles, cliffs, and spires. Rivers have sliced the parks into three districts: Island in the Sky is the northern section where visitors can look down to the Colorado River on the east and the Green River on the west; The Needles District is named for its profusion of red rock spires and sandstone fins; and the Maze District is a wild, remote and jumbled stone playground and requires backcountry use permits year-round. Walk: Mesa Arch is a relatively easy 30-minute jaunt that leads to an arch perched right on the edge of towering sandstone cliffs and is especially beautiful at sunrise. Hikes: Island in the Sky, the park’s most accessible and visited district of the park, allows for a bird’s eye view of this vast and awesome landscape. The “Island” sits atop a mesa over 1,000 feet above the surrounding terrain, the source of its aptly given name. The Grand View Point Trail is a mild two-mile round trip hike to the southernmost edge of the “Island” with expansive views of the complex canyon system formed by the convergence of the Colorado and Green Rivers. 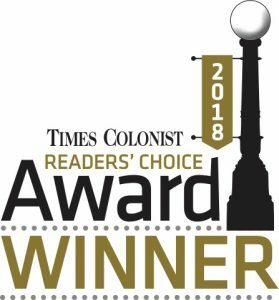 This is a must-see, so be sure to add it to your itinerary! Drives: A few hours: Drive the park’s 20 miles of paved roads and enjoy the spectacular views. Sunrise and sunset are particularly beautiful times of day to enjoy these lofty panoramic views of canyon country. You can drive all the way down to the Colorado River via Lathrop Canyon. Backpacking: Backpackers can experience the solitude of the park by hiking trails of White Rim (steep & strenuous) and spend the night in the backcountry. Reservations for White Rim campsites are recommended and backcountry permits are required for all trips. Additional park activities: drives, backpacking, camping, climbing, horseback riding, and ranger-led programs. Major entrances to the park are accessible from U.S. 191. Access to Island in the Sky is 35 miles northwest of Moab and access to the Needles District is 22 miles north of Monticello or 1.5 hours south of Moab. Drop south from Moab on SR 163/US191 and experience the vast geography of the southeast corner of Utah. Drive:Trail of the Ancients Scenic Byway runs through Monument Valley and picturesque historic towns of Monticello, Blanding and Bluff. Drive: Set an alarm to wake up before dawn and get on the road early, whether you’re leaving from a gateway community or staying within the tribal park. It will be worth it. The stillness of the desert in the early morning is magical. The long shadows of early light bring out the sinuous curves of a landscape sculpted over tens of thousands of years by forces largely invisible to us as we pass through. Monument Valley was made famous in the classic John Ford westerns, including Stagecoach and The Searchers, and inspires awe with its dramatic, arid landscape, and nostalgia with its connection to classic American cinema. History and Culture: On arriving in Monument Valley, consider stopping by the Goulding Film and Cultural History museum at Goulding’s Lodge in Oljato, Monument Valley. It’s the perfect introduction and educational resource for what you’ll see in the valley and also has lodging available. Guided Tour: Monument Valley Tribal Park has stunning vistas of the Navajo Nation lands in the most photographed region. Guided jeep tours and hikes will put you up close and personal with Monument Valley’s incredible landforms, which are unlike anything in the world. Edge of the Cedars State Park in Blanding contains an Anasazi village inhabited between AD 825 to 1125, with fragile and amazing artifacts on display. At Newspaper Rock State Historic Site you’ll wonder at the connection you’ll find to North America’s prehistoric past at one of Utah’s large petroglyph panels. The Dinosaur Museum in Blanding contains stunning dinosaur exhibits, movies, slide shows and more. Bluff Fort Historic Site in Bluff preserves and displays the legacy of the settlers who blazed the remote and rugged Hole-in-the-Rock Trail and, ultimately, founded Bluff. Distance: 62 miles/1.25 hours to Natural Bridges National Monument; 137miles/approximately 2.5 hours from Natural Bridges to Capitol Reef. As you leave the Monument Valley area, travel further along Trail of the Ancients National Scenic Byway to Natural Bridges National Monument, home to three of the world’s five largest sandstone bridges. Goosenecks State Park offers spectacular views of an “entrenched meander” where the San Juan River carved 1,000-feet deep twists. Unbelievable geology with night sky stargazing. On a rough, unpaved road, Muley Point climbs higher to overlook the Goosenecks. Note: S.R. 261 features steep switchbacks called the Moki Dugway that aren’t suitable for driving RVs or vehicles with long trailers. 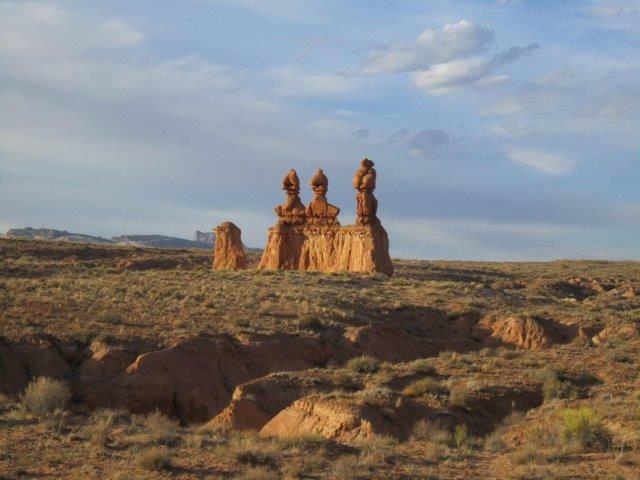 The turnoff to Goblin Valley State Park is located about 20 miles north of Hanksville along S.R. 24 northeast or 24 miles south of the junction of I-70 with S.R. 24. The vast landscape of sandstone goblins may have visitors wondering if they’re on Mars or in Utah. Now on to Capitol Reef National Park. It is no wonder the Navajo called this the Land of the Sleeping Rainbow. The contrast of red Entrada and white Navajo sandstones and the magnificent rip in the crust of the earth create surreal landscapes unlike any you have seen. Capitol Reef National Park splashes color for 100 miles through an inviting wilderness of sandstone formations, rock art petroglyphs-telling the story of the early indigenous people of the Fremont Culture, and large fruit orchards of Fruita, an early pioneer settlement. The central geologic feature, the Waterpocket Fold, is a bulging uplift of rainbow-hued sandstone “reefs” and canyons. Several easy hiking trails and a 25-mile scenic drive are found in this area. 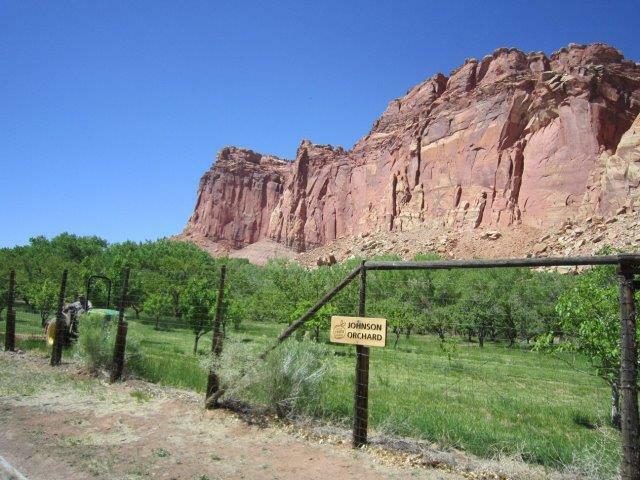 The park is 11 miles east of Torrey or 37 miles west of Hanksville on Hwy 24. Drive:The Capitol Reef Scenic Drive is a 90-minute round trip and travels the park’s natural wonderland where mysterious petroglyphs tease the imagination and dramatic slot canyons lure intrepid explorers with the attraction of pristine natural beauty and real solitude. Visit: The old Fruita Schoolhouse and Historic Gifford Homestead provide a glimpse of 19th-century Utah pioneer farm life. Walk: Take a stroll among the historic fruit orchards in the Historic Fruita District and take some with you, when in season. Hikes: The park rangers can inform you on the hike to Hickman Bridge or the longer hike to Cohab Canyon or down Sulphur Creek, among other great hikes. These hikes give an up-close look at the desert region with a natural bridge spanning the landscape or a refreshing river walk. For a longer, more strenuous hike, take a close look at Navajo Knobs and receive a panoramic view of the park’s dramatically titled landscape. Additional park activities: astronomy programs, backpacking, bicycling, family-oriented park-educational games, fishing, picnicking, and ranger-guided walks. S.R. 95 to S.R. 24. The surrounding area and natural corridor that you will travel through along this scenic byway to Hanksville is spectacular. 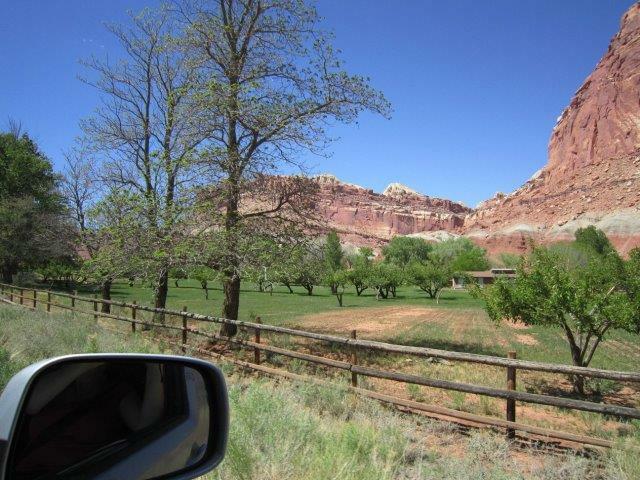 Capitol Reef Country Scenic Byway runs east, into the park. Hogs Springs Recreation Area on BLM land, a lovely family-friendly hike at a roadside pullout on S.R. 95, 33 miles from Hanksville at mile marker 33.1. We call it Hoodoo Country. It sounds like “voodoo” for reasons you’ll have to see to believe. It all translates into a newfound respect for Mother Nature. 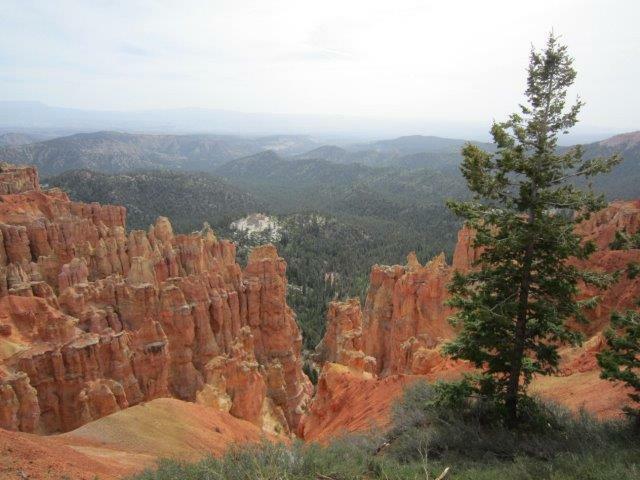 Bryce Canyon’s view from 9,000 feet (2,743 meters) is unlike any else in the world. Bryce Canyon National Park is a series of natural amphitheaters sunk into pink cliffs and filled with delicate red rock “hoodoos.” The most brilliant hues of the park come alive with the rising and setting of the sun. Summertime offers a myriad of walking/hiking trails and a 37-mile scenic drive overlooking incredible vistas. Bryce Canyon Lodge, a National Historic Landmark, is open April through November. Drive: Easy drives within the park have spectacular views with varying scenery. Stop along the way at the Sunrise, Sunset, Inspiration, and Bryce viewpoints. 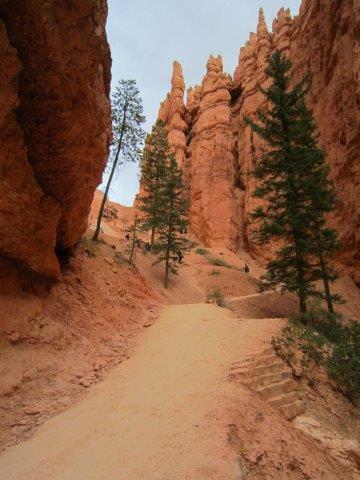 Hikes: There are a lot of trails within Bryce Canyon National Park, from easy to strenuous, with varying scenery. You can pick a hike to a waterfall, red rock hoodoos, spruce tree forests, the Bryce Amphitheater, and other famous landscapes. 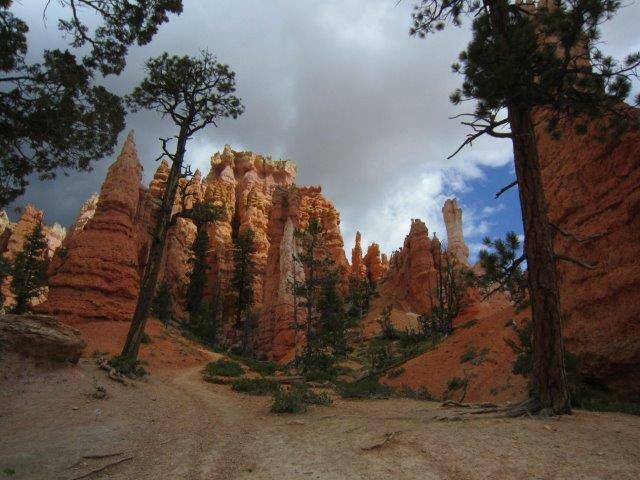 The Rim Trail is paved and fairly level with outstanding views of hoodoos. Navajo Loop Trail is a 1.3-mile hiking path that wanders through the rock formations and draws you into the mystical hoodoos’ perspective. Ranger Program: Park rangers will share interesting facts and activities about the park, including wildlife stories, geologic history, kids interests, full moon hikes, astronomy, and snowshoeing. Additional park activities: camping, mule rides, horseback rides, ranger & astronomy programs. Scenic Byway 12: Utah’s one and only All-American Road is a spectacular experience itself. Here are some stops along the way: Calf Creek waterfall is a 3-mile hike; Anasazi State Park; Escalante and Boulder town shops, outfitters and more; ATV’s at Ruby’s Inn, right outside of the national park; and Grand Staircase-Escalante National Monument and Cannonville Visitor Center near Kodachrome Basin State Park. Come back in winter for cross-country skiing and snowshoeing. See the park in relative solitude experience the magic of snow-dusted hoodoos for yourself. Ride: Book a guided mule or horse trip in the morning to the floor of the park, passing a stunning series of rock formations along the way. Zion translates to “The Promised Land,” and that means for you some of the most spectacular hiking of your lifetime and impossible landscapes you will never forget. Carved by water and time beyond the stretch of the imagination, Zion National Park is a canyon that invites you to participate in the very forces that created it. Zion National Park’s soaring towers and massive monoliths, offer a spectacular grandeur. Over 100 years old, it is also Utah’s most visited park, welcoming more than 3 million visitors in 2012. There are numerous simple, self-guided trails and more adventurous or strenuous hikes found in the park. Two entrances to Zion are 33 miles east of I-15 or 12 miles west of US 89, both on Utah Hwy 9. The northern Kolob Canyons section is accessible off I-15, 18 miles south of Cedar City. Hike: The Emerald Pools in the park is a relatively easy three-mile, round-trip, signature hike and is fun for the whole family. Canyoneering: Zion National Park has become a favorite in this exciting sport. Dozens of canyons offer route finding, rappelling, swimming and hike challenges for beginners to advanced. Permit required. Several local shops offer gear rentals. 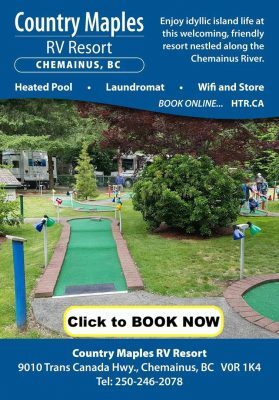 Camping: All three campgrounds are popular, so make your reservations early. There are also several campgrounds a short drive outside the park. 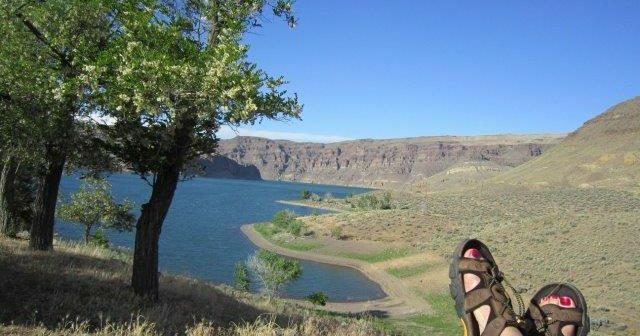 Additional park activities: backpacking, bicycling, birding, horse-back riding, rafting and ranger-led programs. 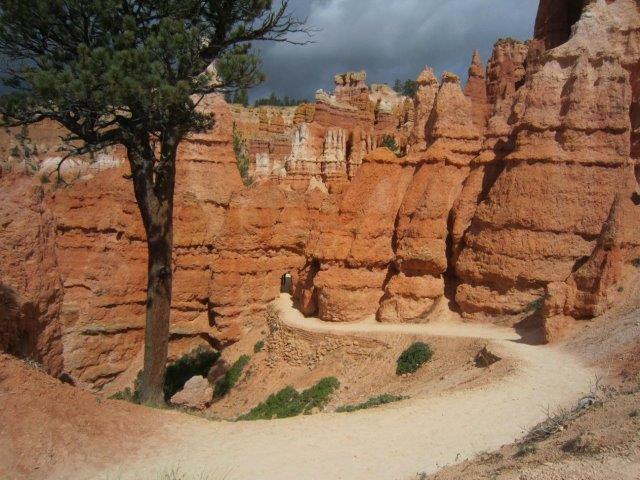 Travel from Bryce Canyon National Park on Mount Carmel Scenic Byway through amazing scenery and Long Canyon to S.R. 9 and into Zion National Park. Hike: The Narrows is hailed as one of the world’s best canyon hikes. 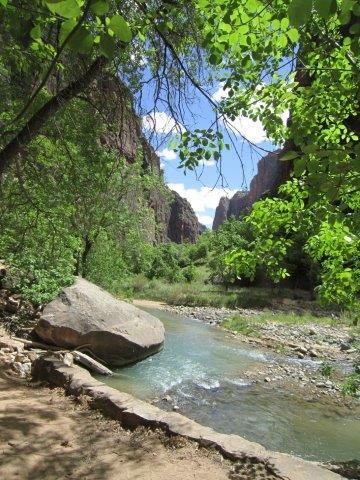 This shady walk up the shallow Virgin River can be adapted for any ability level or timeframe. Red rock canyon walls reach into the sky above as you splash and stroll through the river’s cool waters. Check the park website for conditions, suggested hiking equipment and guides & outfitters. Hike: A classic park hike, Angels Landing should not be taken lightly. It rises nearly 1,500 feet from the canyon floor to its final viewpoint. Many people consider the views here to be some of the most spectacular in the world. Only those who are physically fit and not afraid of heights should attempt this hike — it’s a lot of work with a lot of reward. On average, it takes between three and six hours to complete this five-mile round-trip hike. Be prepared to walk across a narrow land bridge with steep, shear drop offs on either side. Chains are provided for security and peace of mind. Please check the park website before you plan this hike for trail conditions and closures. Shop: Stop in Springdale for gifts, souvenirs and a great meal. 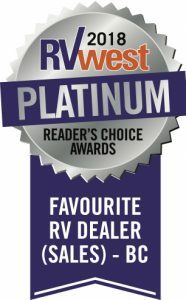 REMEMBER…Whatever your Adventure, we have an RV for it!